IV EDITION. AMSTERDAM. SEPTEMBER 2019. APPLICATION PERIOD: Until all vacancies are filled. LIMITED VACANCIES: The course is limited to 16 attendees. Strategic planning is more important than ever in the current high-competitive environment where brands fight to be relevant and distinctive. On top of that, the evasive audience and the media fragmentation make the planner’s role essential in order to keep the brand coherence in the transmedia landscape where brands are competing today. Thus, it is not a surprise for anyone that planners are now one of the most demanded roles in the modern communication industry. 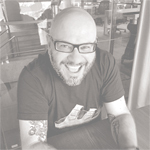 In addition to this, the old approach to strategy that is still taught in some universities and creative schools is no longer relevant for the daily challenges both brands and companies face on their daily basis. For this reason, at HOALA we think that the training of a planner must be updated and given only by the most qualified and renowned planners in the world, offering you an unbeatable, contemporary and mind-blowing training. The objective of this course is not only to provide you with a powerful strategic theory base, but also with a vast practical implementation focused on the actual day-to-day tasks of a strategist. Each one of the lecturers has taken as a starting point the most important areas of knowledge for a strategist and developed them into 11 tailor-made modern strategic sessions that have the focus on the acquisition of a set of skills that will enhance you into: a strategist with evolved tools and intuition to identify and solve brand communication problems; a communication professional able to transform the information from the research phase into inputs that accelerate and inspire the creativity; a brand expert able to read the new media landscape and the new way brands have to start and maintain conversations with consumers in the digital arena; an idea communicator that inspire work teams and clients, planners that deeply understand consumers giving a special weight to research and investigation to detect insights and, last but not least, a hard-worker enthusiast truly passionate about constantly learning and growing. The course is structured in 11 intensive weeks where world-class strategy leaders will provide you with theoretical and practical knowledge, as well as their professional experience with the brands they work for at their agencies. - 4 hours session during the Saturday morning (9:00-13:00 hrs) typically focused on case studies where the lecturer will show you the methodology and the strategic thinking behind the case. Besides the class hours and if the lecturer considers it necessary, you can be requested to develop some homework during the week such as reading articles and books, prepare briefs or conduct research. Strategic planners, account executives, creatives, designers, communication directors, brand managers and professionals who need a solid strategic process to develop their work. And in general, to any intuitive person, with experience in the creativity, communication or advertising field, open minded, willing to learn, live experiences, listen new point of views and are fearless to the unknown and new. At Hoala we firmly believe in your active involvement during the sessions as the most effective way to learn strategy. We don’t support a “monologue/conference” style where you adopt a passive role and the lecturer is the only one who talks. This is why we at Hoala’s consider debates and discussions at the very center of the learning process and therefore, the selection will be done based on what kind of experience you can add to the group. At Hoala we are not after the best CV, the biggest amount of awards or the highest achievements. Not even after years and years of practice in strategy. Our only goal is to secure for you high-level discussions and debates during every session and that can only be accomplished with attendees that accumulate certain experience in the brand communication business as well as the right personality and motivation. Previous editions have always showed us that the quality of a course is not only about offering a content program run by world-class lecturers. Learning strategy is also about having the right attendees that can spark good debates and discussions and can challenge the lecturers in every single session. The course is limited 16 people, so we can all sit around the same table and have a reduced size so you can feel confident to speak your mind and receive a personalized attention by every lecturer. The class might be small in size, but huge in the decision to create a difference with the best strategy program there is out there. You will be ready to work on any strategic planning department at advertising agencies, BTL agencies, media agencies, digital agencies, branding and strategy consultants and brand marketing departments among others. We believe there is not a magic formula to teach or learn strategy. The idea of what strategy is will be built from your own experience and by listening to other’s opinions and point of views. And that is what we bring to you – the best strategy minds in the world with the best experience and approaches to strategy so we can spark the best debates and discussions during each and every session. Enjoy of a truly international environment with students and lecturers from every corner of the world. Since the first international edition, students from 20+ different countries worldwide have participated. This course is only aimed at professionals that already have certain experience in the brand communications arena in order to secure high-level conversations during every session. Be part of the Hoala's global community of passionate strategists and enjoy of an open access to the Hoala’s library of documents from all the different Hoala strategy courses around the world. Professional Master Course in Account Planning. Hoala São Paulo. 11 tailor-made sessions to provide you with a powerful and updated strategic theory base, together with a vast practical implementation focused on the actual day-to-day strategic tasks. 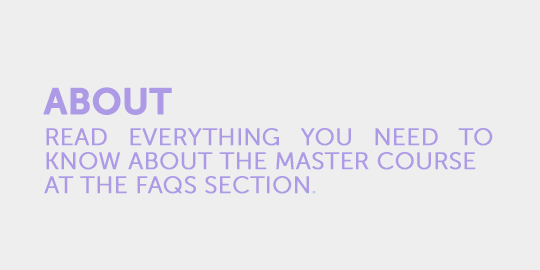 READ EVERYTHING YOU NEED KNOW ABOUT THE MASTER COURSE AT THE FAQs SECTION. Martin Weigel on Account Planning - What planning is and it is not about. 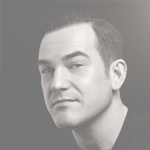 Lecturer: Martin Weigel, Head of Strategic Planning Wieden+Kennedy Amsterdam. The positioning strategy: past, present and future. 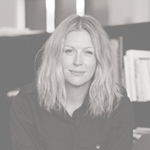 Lecturer: Aisea Laungaue, Partner, Chief Strategy Officer at Anomaly LA. Unearth and discover the best insights. Use research and investigation techniques to discover the best insights. What is and what is not an insight. What we should expect from insights and how can they unlock creativity. How research is approached at the best international agencies. Case studies and examples. 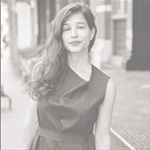 Lecturer: Shari Reichenberg, Executive Strategy Director and Partner at Prophet, New York. 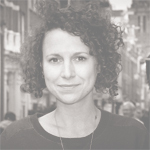 Lecturer: Stephanie Feeney, Executive Strategy Director & Partner at 72&Sunny Amsterdam. 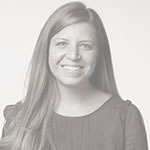 Lecturer: Julie Lagan, Digital transformation strategy leader at IBM iX, London. 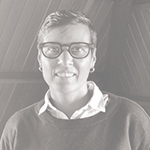 Lecturer: Marialejandra Urbina, Executive Director of Planning at Dieste, Dallas. 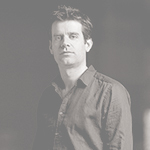 Lecturer: Rob Campbell, Chief Strategy Officer at R/GA London. 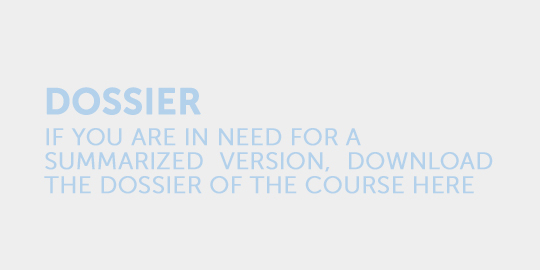 * In the case of the course not reaching the minimum amount of needed qualified attendees or any other important logistic issues, Hoala will be entitled to change the dates of the course up to 15 days before the date of start. In that case, Hoala will refund entirely the enrollment money paid by every attendee. Hoala will not be responsible for any other expenses the attendee might have had until that moment. In the case of an accepted attendee being interested in attending the next edition of the course, Hoala will keep her/his seat blocked and reserved. The HOALA Master in Account Planning made me remember how comfortable my current situation is and how nice it is to get out of that comfort zone again. In addition to this, the different international backgrounds of both students and lecturers benefit the course and the work you do together a lot. The Amsterdam Hoala Master Course in Account Planning gave our international class of 16 people an insight into 11 of the most interesting careers you can find in planning. A truly career changing experience for me. Now let's hope I can share such awesomeness in 20 years time myself. As a young, somewhat inexperienced planner, I applied to this Master to get advice and tips on how to approach account planning. Initially, I mainly expected practical tools. Although I have learned some tools, the Master has taught me so much more. 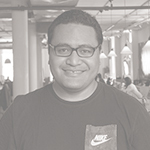 It has given me a broader view of the philosophy behind advertising, where the industry is going and what role an account planner can play in this. This is a result of 11 weeks of being inspired by and listening to some of the best planners in the world, but also the interactions with the highly talented other planners that participated the Master. It has been one hell of a ride. No matter how experienced you are, don't miss out on the opportunity of participating in this Master! How better to learn than in collaboration with practitioners from some of the best agencies, brands and campaigns in the world? What I hadn’t appreciated until I attended was the value of learning from my fellow attendees (now friends) who came from agencies big and small, networked and independent from across the world. Not only do you learn and discuss the latest thinking in planning but also about how different agencies configure themselves and their work. The Hoala experience offers something far deeper than listening to the blogs or attending conferences where the course leaders are speaking, it delivers real small group learning and the opportunity to really interrogate, discuss and inform yourself in a very effective way. 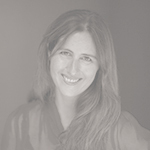 Margaret Gilsenan, Partner and Head of Strategy at Boys & Girls LTD, Dublin. Since I first heard about Hoala`s Masterclass I became obsessed in attending it. My main intention was to find the differences among all those different markets and agencies where the lecturers came from. What might be their secrets? Do they have a personal approach? There`s a formula to create awesome plans? Well, this was my expectation. In practice, it was not (only) about techniques, but how to master "advertising", as a whole. What works and what doesn`t. In the end, it changed completely the way I think about "brand building" and strategy. Learning with the best is a one-in-a-life experience, so if you are in doubt about attending Hoala, just do it . 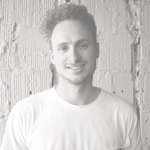 Jorge Gloss, Co-founder de Buenas!, Brazil.